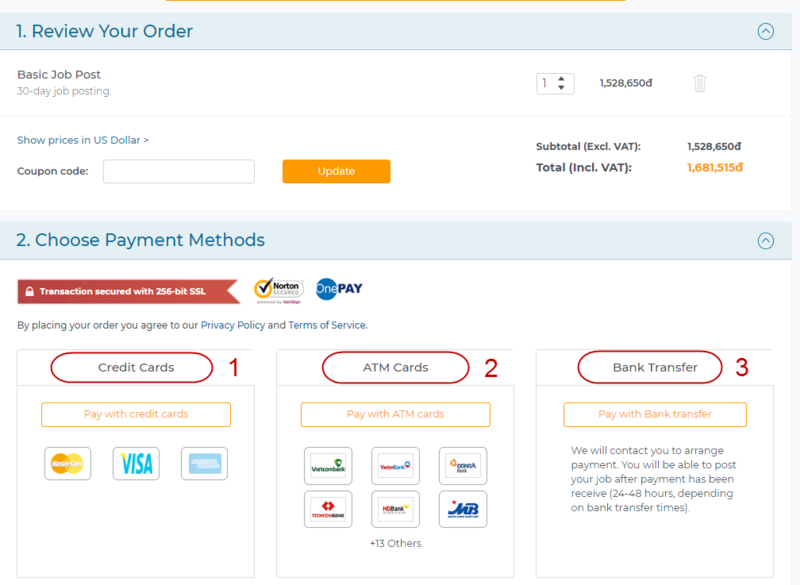 When you pay directly via the website, you can use the following credit cards: VISA, Master Card, American Express.Note: You need to fill in all nesseary information as “Card Type” , “Card number“, “Expiry Date“, “The CSC Code“…. The credit card information will be kept confidential and be confirmed with the bank that issued the card. Step 1: After selecting “Pay by ATM”, OnePay payment gateway will appear. You need to choose the logo of your issuing bank. Step 2: When the payment gateway of your card issuing bank appears, you need to do to follow the instructions of the card-issuing bank to complete the payment. 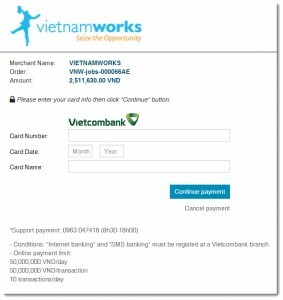 For example: If you pay via Vietcombank, click the logo of Vietcombank, then fill in the required information to make payment under the order. If you do not have a bank card with online payment function , you can choose “Bank Transfer” method . 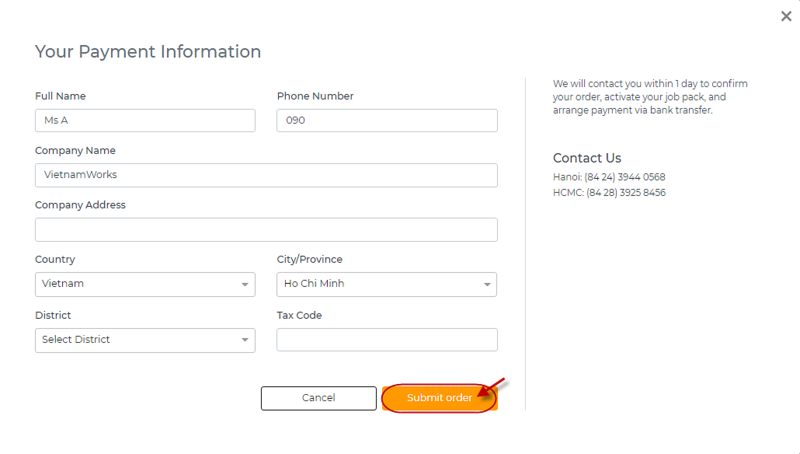 Please fill in the necessary information in the table below , then click “Submit Order“. 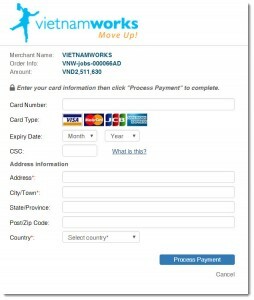 VietnamWorks will contact you to arrange payment and provide the account number , and then you can go to the bank to perform transfer completed order. You will be able to post your job after payment has been received (24-48 hours, depending on bank transfer times). Where is VietnamWorks’ Products Pricing? How to buy a package or create an online order at VietnamWorks?